Welcome to Tea, a virtual tribute to the art of having tea. As Henry James once said: “There are few hours in life more agreeable than the hour dedicated to the ceremony known as afternoon tea. I host the occasional virtual tea party, originally inspired by Christine, a follower who lives in France. She was curious about English tea traditions after watching a few episodes of Downton Abbey. The British may have failed miserably in other culinary areas, but they excel in the tea ritual. Join me for tea and treats as I dish on Downton Abbey, the Royal Family, UK tourism and other topical tea issues one might discuss at tea, served up with a tea treat recipe with a history. Many of you will have been to the UK for the Olympics and perhaps have lingered to looking for a chance to have “afternoon tea”. To help avoid disappointment (there is a difference between afternoon and high tea), I have created a handy guide to help you enjoy the experience: Downton Abbey Cooks Online Guide to Afternoon Tea. These and many more recipes are available in my book, Relaxing over Afternoon Tea, found in the Shop section. When I sent a tweet this week to Hugh Bonneville (@hughbon) asking him about the smelly lobster on set, he tweeted back saying we shouldn’t believe everything we hear or see, so take some of these reports with a grain of salt. S3 starts in September in the UK on ITV. While we patiently wait until January, Season 3 will be broadcast on ITV in the UK starting next month. That poses a dilemma for me, but I vow to focus on the food and not on the plot line, but common, we all know there will be wedding cake in our future, don’t we? Downton Daisy takes on new Role: Sophie McShera will be joining the cast of Job Lot, a new comedy which will be airing on STV in the new year. My guess that is an ensemble format which will allow her to still keep up here scullery duties at Downton. Cast members required to burn their scripts: apparently in order to keep plot lines a secret, scripts are supposed to be burnt once the actors have learned their lines. I guess shredders weren’t invented yet. Catch the Season 3 Trailer if you can: a leaked version of the Season 3 trailer has been making the rounds. Some have been pulled due to copyright infringement, but even if you can’t see the trailer on Vulture, their commentary on Season 3 is amusing. 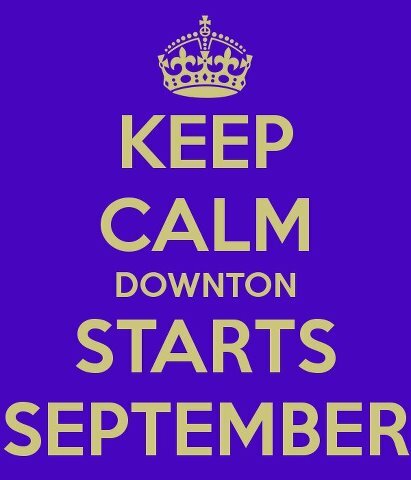 The Emmys are September 23rd: As we already know, Downton received a number of nominations. How are plans for your Downton Abbey themed Emmy party coming along? My ideas on what to serve. 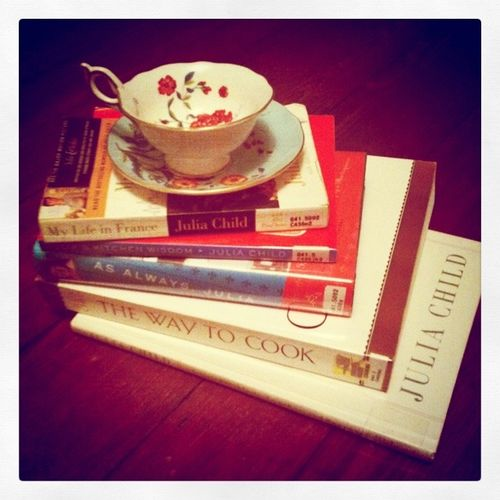 Julia Child would have been 100 years ago tomorrow. She died 2 days before her 92nd birthday back in 2004. I wrote a lengthy tribute yesterday which you can link to from here, with more about her life and how she brought French cuisine to America on a grand scale. Her recipe for Clafouti is included which would be great to serve at tea. Lord D loves ladyfingers with his tea, and they are great base ingredient to have on hand to make a number of desserts, including trifle. 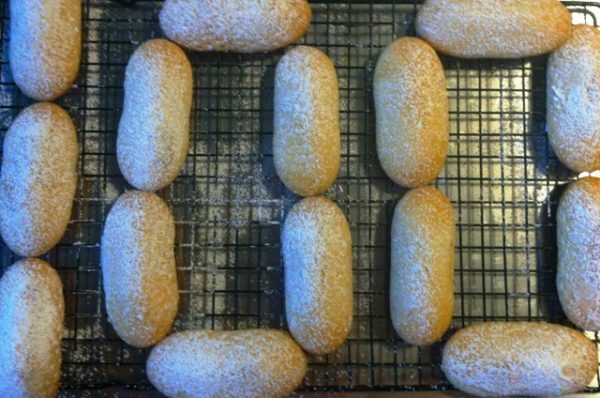 Store bought ladyfingers just aren’t the same.